In the beginning of Luke’s second volume, the Acts of the Apostles, we read Jesus’ command to the disciples that they should stay in Jerusalem and wait for the promise of the Father: the gift of his Holy Spirit. In the power of the Spirit they would be his witnesses to the ends of the earth. But what should they do while they waited? Should they do it alone or together? Verse 14 says, “All these with one accord were devoting themselves to prayer, together with the women and Mary the mother of Jesus, and his brothers.” Here is our answer. While we wait, we pray together. What do we pray for? 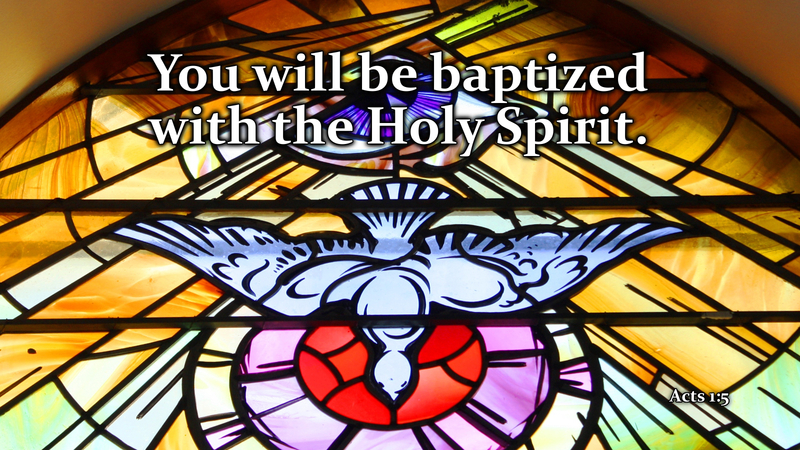 In this case, the disciples had been told they would receive the power of the Holy Spirit to be witnesses of what they had seen and heard and experienced of Jesus their Savior and Lord. So their conversation with God would be about that: asking God to prepare them in every way to be ready to submit to his Holy Spirit, that they could be used as his instrument to tell others the marvelous story of salvation, about God’s free gift of eternal life. Prayer: Gracious Father, thank you for your power in us, your Holy Spirit. Amen.